New home sales for single-family houses rose 4 percent in March, according to the latest data released by the Census Bureau and the U.S. Department of Housing and Urban Development on Tuesday. The data indicated that 694,000 new single-family homes were sold in March compared to 667,000 in the prior month. Sales of new homes rose on a year-over-year basis too, recording an 8.8 percent increase over the 638,000 homes sold in March 2017. According to Tian Liu, Chief Economist at Genworth Mortgage Insurance a high demand for younger home buyers fueled the sale of new homes in March. 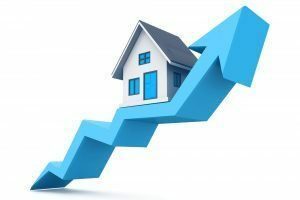 “Demand from younger homebuyers is especially strong, and strong home price growth has provided a favorable environment for pricing,” Liu said. “We expect new home sales activity to remain strong, especially along the west coast and in the Southwest, which has seen significant homebuilding activities in the past few months,” Liu said. According to the data, the sale inventory for new homes at the end of March was at 301,000 representing a supply of 5.2 months at the current sales rate. But will this be enough to keep home sales on their upward trajectory? “The question is how fast can home builders build to meet the demand, and whether there is more focus on affordable homes,” Liu said. “An increase of 28.3 percent month over month brought sales in the West to the highest level since December 2006. Low inventory is a particular challenge in the West and continuation of this trend would be encouraging,” Kapfidze said.